Knoz Elhekma is looking for a Digital Marketing Specialist. If you meet the requirements below, you will be eligible to apply via Digital Marketing Community. Identify emerging digital marketing trends and future opportunities to promote the company and its products and programs through existing and emerging channels. Mentor and evaluate the effectiveness and return of channel marketing campaigns and report on results to upper management. Generate, edit, publish and share engaging content daily on expanding cart social media accounts and pages such as (original text, photos, videos and news). Cooperate with followers, respond to queries in a timely manner and monitor customer reviews. Oversee social media accounts’ design such as (Facebook page cover, profile pictures and blog layout). Generate, research and pitch ideas for blog posts. Write, edit, publish and promote content. Develop solutions and utilize standard operating procedures for improving customer satisfaction and creating lifelong promoters of our brand. Communicate with the management team and developers to improve product functionality and resolve issues. At least 4 years of working experience in the same role. Proficient experience in using website analytics tools such as (Google Analytics). Advanced working knowledge of using (Facebook Ads and Google AdWords). Deep understanding of identifying target audiences and devising digital campaigns. Extensive working skills in using (MS Office). Ability to work independently or as a part of a team. 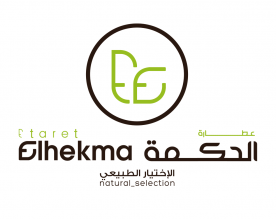 Knoz Elhekma company through 15 years achieved maximum confidence with their own customers in offering the best natural herbal and herbal products through more than 50 branches throughout the Kingdom of Saudi Arabia.